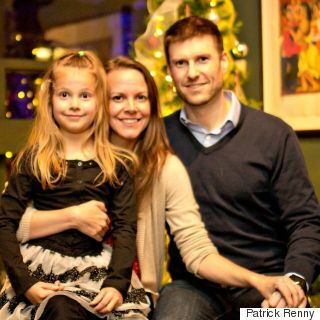 Patrick Renny lives with a genetic disorder that is slowly stealing his eyesight. It's a rainy Thursday morning, and Patrick Renny is making smoothies to sip on for a little dad-and-daugther cartoon time. As Bugs Bunny plays in the background, Renny chops some fruit and adds a handful of chia seeds to the mix. He blends everything up, and brings two mason jars to seven-year-old Hayden, still clad in her PJs. It's a pretty typical household scene — except Renny is going blind. The North Vancouver, B.C. 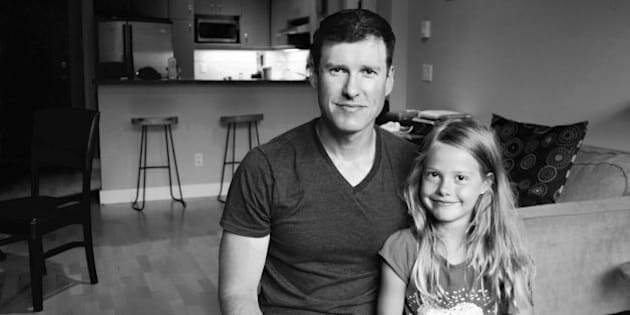 dad lives with a genetic condition called choroideremia, which means his X chromosome is "missing the instructions" to make one of two crucial proteins that's necessary for eyesight. Diagnosed at 13, Renny officially became legally blind in February. He can see things — but it's through a blurry filter that gets more fuzzy with each day that passes. "It's like an irregularly-shaped, doughtnut-like ring of nothingness in the middle of my eye, and it grows in and out simultaneously," Renny said. "Those patches bleed in towards the center, and out towards the edges." Over time, that ring will get bigger and take over, completely robbing him of his vision. 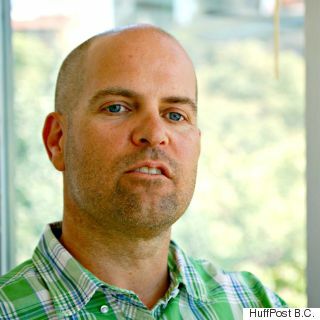 Landing a steady job has always been a worry in the back of his mind, Renny told The Huffington Post B.C. For years, he worked in the hospitality industry after moving from Nova Scotia to the West Coast when he was 18. As his vision deteriorated, he went from the front desk to a behind-the-scenes role, doing his best to hide his condition. "People would notice I'd bump into things, and I'd brush it off. But I didn't say anything, because I was afraid of being let go," Renny recalled. A few years ago, he got laid off in Whistler. He soon joined an IT company in North Vancouver that was looking for someone with a flair for customer service. In February, he got laid off again. "I didn't know what I was going to do," Renny, 40, said. But an epiphany of sorts came one night as the family was relaxing at home. 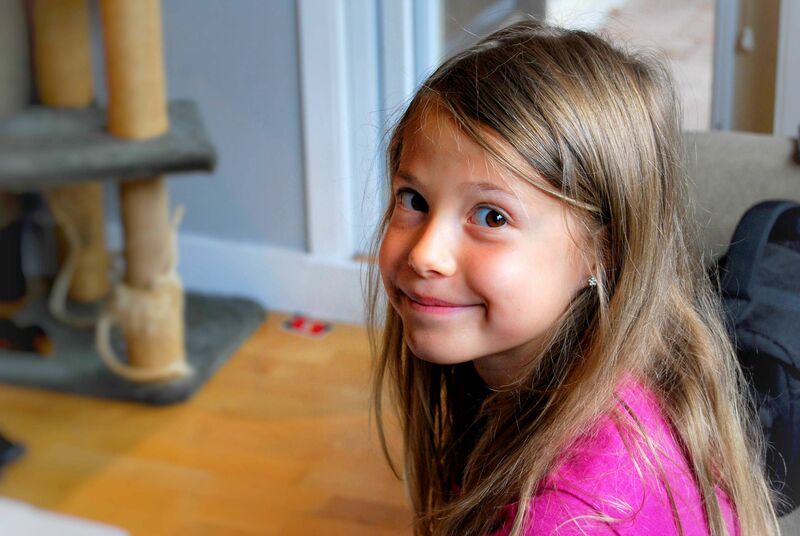 "My wife always bugs me to give her massages, and I was sitting on the couch when my daughter climbed up and said, 'I'm going to rub your shoulders now, Dad!' — and a lightbulb went off." Renny decided to go back to school to become a registered massage therapist (RMT), so he could support his wife and only child after the inevitable happens to this eyesight. The trouble is, he's still unemployed, and tuition isn't cheap. It costs an average $30,000 to take a two-year registered massage therapy program in Metro Vancouver. To raise the money, Renny started a GoFundMe campaign in April. In four months, over $11,000 has been donated to his cause. "It's a lot of pressure on my family — to be going for school, paying for tuition, and not having an income. So it's amazing to have all of this support, from friends, distant family, and sometimes people I don't even know," he said. "I just hope I can make it happen, and that there's room for me in the industry when I finish." As it turns out, visually impaired registered massage therapists aren't uncommon. The Electra Health Floor wellness clinic in Vancouver is run by Mark Bentz, an RMT who only has about two per cent of his vision. The 48-year-old therapist said there's always a place in the industry for people like Renny — as long as they have the perfect cocktail of personality, talent, and drive. "You have to be able to turn your weakness into a strength," explained Bentz, who has cone-rod dystrophy. "[Being blind] can be a benefit, but you have to have the right social skills and the right passion too — you have to make people look past the eyesight. If you can do that, you can make it," he said. "That's what I hope [Renny] would find," he added. "People will always give you a chance. It's human nature." It's now mid-morning, and Bugs Bunny has switched over to Tweety Bird. The mason jars are half empty, and the rain outside has slowed to a sprinkle. "I just hope everything works out," Renny said. "But I guess we'll just have to wait and see."